Building on earlier research, I am now exploring the international dimensions of the story of U.S. labor feminism, recreating the transnational networks and international organizations in which labor feminists participated. Part of this project involves delineating the transatlantic connections between U.S. labor feminists and their counterparts abroad and the intellectual influence European and Nordic social justice feminism had on U.S. social policy in the post-World War II era. ”I find it very interesting to be ‘dipping’ into the international field … I’m afraid my experience had been quite ‘domestic’ before this trip!’ U.S. garment union leader Esther Peterson wrote from Stockholm, Sweden in 1949. (1) Esther Eggertsen Peterson had gone to Stockholm in 1948 with her husband, Oliver Peterson, the newly-appointed U.S. labor attaché to Sweden, and their family of four young children. She would remain abroad for almost ten years, in Stockholm and then in Brussels, taking the primary role in the household economy, but also, as one Swedish publication reported, acting as a second labor attaché. When the President of the Swedish Trade Union Confederation (LO) was asked his opinion of the U.S. Labor Attaché, Oliver Peterson, he replied: ”Well really, America has two Labor Attaches here. The second is Esther.” (2) In 1957, the Petersons returned to the U.S. and Esther became the first woman hired as a Washington legislative representative for the AFL-CIO, the U.S. labor federation. In 1961, she accepted U.S. President John F. Kennedy’s appointment as Director of the Women’s Bureau and Assistant U.S. Secretary of Labor, making her the highest-ranking woman in the Kennedy administration (3). Building on this earlier research, I am now exploring the international dimensions of the story of U.S. labor feminism, recreating the transnational networks and international organizations in which labor feminists participated. (6) Part of this project involves delineating the transatlantic connections between U.S. labor feminists and their counterparts abroad and the intellectual influence European and Nordic social justice feminism had on U.S. social policy in the post-World War II era. 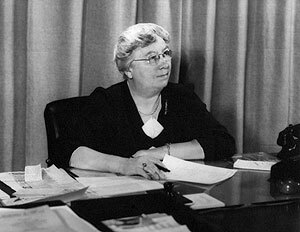 Many of the most prominent twentieth-century U.S. women reformers were deeply involved in transatlantic political and social networks, including Esther Peterson and others such as Swedish immigrant and shoeworkers’ union president Mary Anderson, the first director of the U.S. Women’s Bureau and the longest-serving top U.S. woman governmental official in the interwar period; (7) Panamanian-born garment union officer Maida Springer-Kemp, who became the first black woman to hold a powerful post in the International Affairs Department of the AFL-CIO; (8) and Frieda S. Miller, the University of Chicago-trained economist and New York state labor official who succeeded Mary Anderson as head of the U.S. Women’s Bureau in 1944. (9) Before joining the Women’s Bureau, Miller had been the labor advisor to the U.S. Ambassador to Britain, John Winant, and a frequent and influential U.S. delegate to the International Labor Organization (ILO), the cooperating body of the League of Nations and later the United Nations responsible for formulating international labor standards and worker rights. (10) The international experiences of these labor feminists expanded their sense of the politically possible, offered them concrete policy interventions that they adapted to the U.S. context, and helped sustain their social democratic and feminist activism in a political climate often unresponsive if not actually hostile to their world view. In this short article, I will focus primarily on Esther Peterson. In what follows, I will discuss the social democratic and feminist intellectual circles in which she participated during her decade abroad and how these experiences influenced her thinking and shaped the social policies she proposed upon her return to the States. Peterson, of course, was already a feminist and a social democrat before she came to Sweden in 1948. By the early 1930s Peterson had left her conservative Republican Mormon roots far behind. After finishing her undergraduate studies at Brigham Young University in her home state of Utah in the late 1920s, she broke her ties with her fiancée and moved across the country to New York City to attend Columbia University Teacher’s College. She completed her masters’ degree at Columbia in 1930 and was soon swept up in the ferment of labor organizing. In 1932, she married Oliver Peterson, a North Dakota-born Norman Thomas socialist and Farm Labor populist, and after a honeymoon in Norway, the birthplace of Oliver’s parents, and in Denmark, the birthplace of Esther’s grandparents, they settled in Boston. Oliver studied Sociology at Harvard University and Esther taught immigrant working girls at the YWCA along with her day job at an elite private school for girls. Returning to New York in 1938, Oliver and Esther gravitated toward the reform-minded socialists in the garment unions and the Women’s Trade Union League (WTUL), a multi-class national women’s organization that since 1903 in the U.S, had sought to solve the problems of low-income women through legislation and trade union organizing. (11) Esther joined the education department of the Amalgamated Clothing Workers of America in 1939. Under the tutelage of socialist J.B.S. Hardman and Bessie Abramowitz Hillman, who, along with her future husband Sidney, had founded the union in 1914, Peterson organized multi-racial locals in the South and set up education programs for the union’s members. (12) In 1944, Peterson headed to Washington D.C. to become the union’s first lobbyist, a job she relinquished to go abroad. When Peterson returned to the U.S. in 1957, she brought her social democratic and feminist politics, enriched and confirmed by new internationalist understandings, into her government work in the Kennedy, and later the Johnson and Carter administrations. (17) Peterson’s international ties with labor and feminist circles abroad reinforced her commitment to a politics that emphasized economic justice and social rights and that saw the state as a prime vehicle in advancing such goals; it also offered her specific governmental policy alternatives, many of which made their way into U.S. social policy in the 1960s and 1970s. 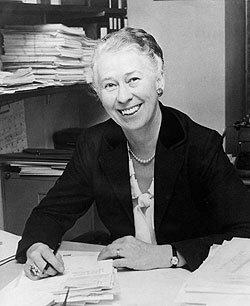 Peterson was convinced, for example, in large part because of her decade abroad, that women could never achieve full economic citizenship without attention to what we now term the ”work-family dilemma.” Her approach to solving the conflict between market work and family work was complex, involving new employer and state policies ensuring maternity leaves and more worker control over hours and scheduling, government funding for child care, ending pay and status discrimination against women’s work, and raising overall family wages. When taken together, all of these policies, she contended, would allow women more choice as to how they would allocate their time. She believed strongly that the majority of women wanted more flexibility in how they combined their work and family life and that many also wanted more respect for their work, regardless of where it took place, whether in the home or not. Involuntary market work was just as much a problem, in her view, as involuntary home work. With higher social wages and pay, those women who wanted to would have the choice to spend more time at home. At the same time, she also knew that some women would want full-time employment and would hire other women to take over their domestic tasks. Peterson responded to Miller’s request with alacrity. She wrote back: ”Mary Anderson reported my feelings correctly in saying that I would be interested in such a project as you described. I have been clipping and assembling materials on the Swedish experience in regard to domestic workers and should be delighted to go on with it formally.” (20) Asked for a short pamphlet, Peterson sent Miller a two-hundred page draft. Clearly, the topic resonated with Peterson and the more she learned, the more intrigued she became. Letter, Esther Peterson to Frieda S. Miller, 14 October 1949, Folder 3446, Esther Peterson Papers, 1884-1998, MC-450, Arthur and Elizabeth Schlesinger Library on the History of Women in America, Radcliffe Institute, Harvard University, Cambridge, Massachusetts, U.S.A [hereafter EP-SL]. Quote from ”Labor Ambassadors,” Folket I Bild, no author, no date, c. 1956, Folder 366, EP-SL. On Peterson, Dorothy Sue Cobble, The Other Women’s Movement: Workplace Justice and Social Rights in Modern America (Princeton, NJ: Princeton University Press, 2004), pp. 34-36, chapters 4-7; Esther Peterson with Winifred Conkling, Restless: The Memoirs of Labor and Consumer Activist Esther Peterson (Washington, D.C.: Caring Publishing, 1995); and Cynthia Harrison, ”Esther Peterson, December 6, 1906-December 20, 1997,” in Notable American Women: A Biographical Dictionary Completing the Twentieth Century, edited by Susan Ware (Cambridge, Mass: Harvard University Press, 2004): 508-510. For a discussion of the varieties of U.S. feminism and the use of the term, ”labor feminists,” see Cobble, The Other Women’s Movement, introduction. Cobble, The Other Women’s Movement, chapters 1-6. My debt to earlier scholars of women’s transnational and international activism is great. For a sampling of such work, see the special issue of Gender and History [vol. 10, No 3 November 1998] on ”Feminisms and Internationalisms,” edited by M. Sinha, D. Guy, and A. Woollacott. See also the superb account of U.S. feminists abroad, Leila J. Rupp, Worlds of Women: The Making of an International Women’s Movement (Princeton, NJ: Princeton University Press, 1997). For more recent work, see the essays in Crossing Boundaries: Women’s Organizing in Europe and the Americas, 1880s-1940s, eds. Pernilla Johsson, Silke Neunsinger and Joan Sangster (Uppsala Universitet: Uppsala Studies in Economic History 80 , 2007) and the conference papers presented by Erika Ann Kuhlman, E. Sue Wamsley, Jo Butterfield, and Megan Threlkeld at the ”Transnational Women’s Organizations: 1900-1950 Workshop,” Fourteenth Berkshire Conference on the History of Women, June 12-15, 2008, Minneapolis, Minnesota. Available electronically for conference registrants at http://berks.umn.edu. 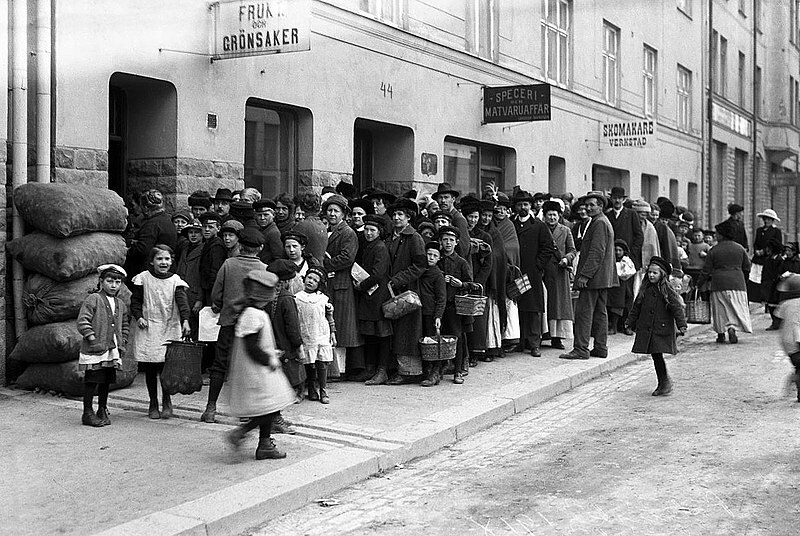 In 1889, at the age of sixteen, Mary Anderson left her family’s farm in Lidkoping, Sweden, to migrate to America. She suffered through a succession of low-paying domestic service positions before securing steady factory work in Chicago as a shoe stitcher, a job she held for many years while also serving as the president of her all-female shoeworkers’ local. In 1920, she became the first head of the U.S. Women’s Bureau. Re-appointed by four U.S. Presidents, Anderson held this post until 1944. 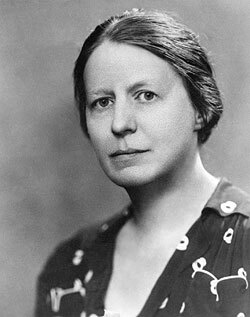 She was a founding member of the International Federation of Working Women in the post-World War I era and involved in the International Labor Organization (ILO) and other international bodies throughout the 1930s and 1940s. For more on Anderson, consult the Mary Anderson Papers, 1918-1960, A-7, SL; Mary Anderson, Woman At Work: The Autobiography of Mary Anderson as told to Mary N. Winslow (Minneapolis: The University of Minnesota Press, 1951); and Cobble, The Other Women’s Movement, esp. 26-27. Maida Springer-Kemp spent time in worker education circles in England, Sweden, Denmark, and Africa before serving as the AFL-CIO’s international representative for Africa in the 1960s. See Yevette Richards, Maida Springer: Pan-Africanist and International Labor Leader (Pittsburg: University of Pittsburg Press, 2000) and Cobble, The Other Women’s Movement, esp. pp. 43-45. Frieda S. Miller found her internationalist sea legs in 1923 when she attended the third conference of the International Federation of Working Women in Vienna. She served as a U.S. delegate to the ILO legislative conferences in 1936, 1938, and 1941; chaired the committee sorting out the relation between the ILO and the United Nations in 1946 after the demise of the League of Nations; and moved into full-time international work with the ILO after leaving the Women’s Bureau in 1953. See Frieda S. Miller Papers, 1909-1973, A-37, SL [hereafter FM-SL]; Cobble, The Other Women’s Movement, esp. 27-29, chapters 2-7. On the ILO, see, among others, Carol Riegelman Lubin and Anne Winslow, Social Justice for Women: The International Labor Organization and Women (Durham: Duke University Press, 1990) and Edward C. Lorenz, Defining Global Justice: The History of U.S. International Labor Standards Policy (Notre Dame: University of Notre Dame Press, 2001). The WTUL was a transatlantic organization in many ways. Founded first in Britain in 1874 as the Women’s Protective and Provident League, the British organization changed its name to the Women’s Trade Union League in 1890. The American WTUL, founded in 1903, was modeled on the British. Yet according to Alice Henry in Women and the Labor Movement (New York: MacMillan Company, 1927), pp. 109-110, the British WTUL was inspired in part by the visit of Emma Paterson, an Englishwoman, to New York City in the early 1870s. There, she observed the Working Women’s Protective Union, the Women’s Typographical Union, and other New York City women’s labor groups. For more on the two leagues, consult Robin Miller Jacoby, The British and American Women’s Trade Union Leagues, 1890-1925 (Brooklyn, NY: Carlson Publishing Inc., 1994) and Gladys Boone, The Women’s Trade Union Leagues in Great Britain and the United States of America (New York: Columbia University Press, 1942). On Bessie Hillman, Karen Pastorello, A Power Among Them: Bessie Abramowitz Hillman and the Making of the Amalgamated Clothing Workers of America (Urbana: University of Illinois Press, 2007). On Sidney Hillman, Steve Fraser, Labor Will Rule: Sidney Hillman and the Rise of American Labor (Ithaca: Cornell University Press, 1993). For Peterson’s years abroad, see especially Folders 26-27, 147-148, 355-389, and 3446-3448, EP-SL and Peterson, Restless, 69-88. For ICFTU membership data in 1949, James Docherty, Historical Dictionary of Organized Labor, Second Edition, (Lanham, Maryland: Scarecrow Press, 2004), 131-132. I welcome suggestions for additional materials that would shed light on Peterson’s activities and friendships while in Sweden and Belgium. For correspondence between Peterson and Ekendahl, folders 366, 630, 632, 727 in EP-SL. See also Sigrid Ekendahl Materials, Correspondence File, 1964-1967, 1976-1977 and LO Archives Correspondence Files, Boxes 32, 48, 74, both at Arbetarrorelsens Arkiv Och Bibliotek, Stockholm, Sweden. On Ekendahl: Kaj Axelsson, Den Forsta i Sitt Slag. Stockholm, Tidens Forlag, 1980. See folders 374-381, EP-SL and Peterson, Restless, 87-88. On the Women’s Committee, Folders 375-381, EP-SL. See also Sigrid Ekendahl’s speech to the 80th World Congress, ICFTU, Amsterdam, 1965; ”Charter of Rights of Women Workers,” 1965, revised 1975; Women’s News, Newsletter ICFTU (July 1965); all in Ekendahl Materials, Correspondence, 1964-1967, Arbetarrorelsens Arkiv Och Bibliotek. Cobble, Other Women’s Movement, chapters 6-7. For an introduction to the literature on domestic work and domestic worker organizing in the U.S., see Dorothy Sue Cobble, ”‘A Spontaneous Loss of Enthusiasm’: Workplace Feminism and the Transformation of Women’s Service Jobs in the 1970s,” International Labor and Working-Class History 56 (Fall 1999): 23-29. For the longevity of the feudal norms governing household employment, see Judith Rollins, Between Women: Domestics and Their Employers (Philadelphia: Temple University Press, 1985) and Pierrette Hondagueu-Sotelo, Domestica: Immigrant Workers Cleaning and Caring In the Shadows of Affluence (Berkeley: University of California Press, 2001). Miller also helped convince the ILO to take the issue of household labor seriously. In July 1951, she chaired a meeting of experts on domestic workers in Geneva in preparation for a consideration of an ILO recommendation on the subject. See Folder 86, FM-SL. For a series of articles on domestic employment in the US, the UK, and in Sweden, growing out of the 1951 ILO initiatives: Frieda Miller, ”Household Employment in the United States,” International Labour Review Vol. LVXI, No. 4, October 1952; Dorothy Elliott, ”The Status of Domestic Work in the United Kingdom,” International Labour Review, vol. LXIII, no. 2, February 1951; and Brita Akerman Johansson, ”Domestic Workers in Sweden,” International Labor Review Vol. 67, 1953. EP to FM, 14 October 1949, Folder 3446, EP-SL. The published version of the pamphlet is in folder 369, EP-SL. For various drafts of ”Justice in the Kitchen,” see folders 370-373, EP-SL. The Peterson quote is from Peterson, Restless, p. 80. Toward Standards For the Household Worker: Experience in Sweden (Washington, D.C.: U.S. Women’s Bureau, Department of Labor, 1953), quotes on p. 2, 4, 7, 8. For more on the ”social home aid service,” Karin Carlsson, ”Emotional care as a strategy? The Hemvardarinnas work within the Swedish Social Home Help Program 1944-1960,” paper presented at the International Conference Labouring Feminism and Feminist Working-Class History in Europe and Beyond, 28-31 August 2008, Stockholm, Sweden; Johansson, ”Domestic Workers in Sweden,”364-365. Toward Standards for the Household Worker, pp. 44-58. Anecdote is from Peterson, Restless, 79. For more on the Swedish Domestic Workers Act, Ann Ighe and Birgit Karlsson, ”International Migration, Paid Domestic Work and the Modernisation of the Labor Market in Sweden, 1945-1970,” paper for international conference Labouring Feminism and Feminists Working-Class History in Europe and Beyond, 28-31 August 2008, Stockholm, Sweden, pp. 4-7; Johannsson, ”Domestic Workers in Sweden,” pp. 361-362. Toward Standards for the Household Worker, p. 48. Although no response from Peterson has been found, she must have been pleased to receive Kerstin Hesselgren’s letter of 6 October 1953 in which Hesselgren praised Peterson for her pamphlet on Swedish policy toward household workers. ”I want to congratulate you very much for the work you have done there. It is most interesting and I have enjoyed every bit of it. It is a marvel to me how you have been able to find all those details in so short a time and in a foreign language. It really is a standard work.” Letter, Kerstin Hesselgren to Esther Peterson, 6 October 1953, Folder 361, EP-SL. Peterson to Frieda Miller, 10 October 1952, Folder 370, EP-SL. President’s Commission on the Status of Women, American Women: Report of the President’s Commission (Washington, D.C.: GPO, 1963), quotes on 7, 22, 24, 35-37. For more on the President’s Commission on the Status of Women, see Cobble, ”Labor Feminism and President Kennedy’s Commission on Women,” in Nancy Hewitt, ed. No Permanent Waves: Rethinking American Feminisms (New Brunswick, NJ: Rutgers University Press, forthcoming 2009). Cobble, The Other Women’s Movement, pp. 198-201; Cobble, ”A Spontaneous Loss of Enthusiasm,” pp. 33-39. Letter, Peterson to Ordforanden Arne Geijer [and others] 22 October 1963, Folder 633, EP-SL. Many of the replies to Peterson from her friends in Sweden are revealing as well. For example, ”Dear Esther. I thank you…for your report on the Status of Women… It is nice to hear that my little country has taught you something about the women-problems and that our experiences have influenced you…..I really hope that our exchanges of ideas and experiences will continue.” Letter, Mils Kellgren to Esther Peterson, 29 Oct 1963. For other letters acknowledging the influence of Swedish ideas on her policy proposals, folders 630-632, EP-SL. Letter, Esther Peterson to Sigrid Ekendahl, 12 July 1961, Folder 630, EP-SL. Tarrow, The New Transnational Activism (Cambridge: Cambridge University Press, 2005).